The Wine Capital of India, Nashik houses a score of wineries which produce very good quality liquor. Sula vineyard undoubtedly holds the numero uno position but there are several other wineries have sprung up in the recent years which are truly committed to brew the fine class red, white and sparkling wines. York Winery is one such quality oriented vineyard situating at just a stone’s throw away from the Sula Vineyard. 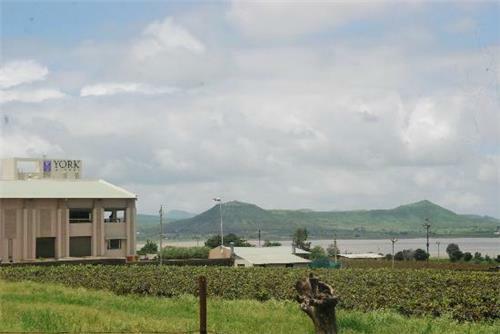 Built in 2006, York Winery is the brainchild of an established local entrepreneur Lilo Gurnani who was quite fascinated about the flourishing grape cultivate and its future potential in Nashik and his vision and dedication took shape in 2008 with the first batch of wine production went to the open market. 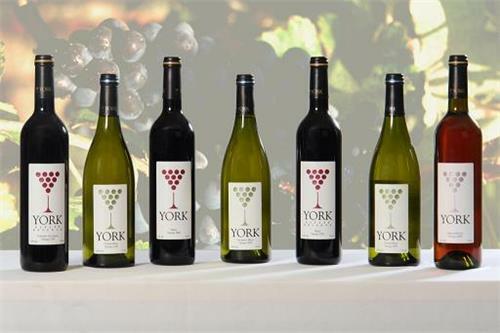 Now, wines of multiple varieties from the York Winery have a large market share and well accepted by the customers. York Vineyard occupies a large six acres of scenic land with a sloppy terrain. The vineyard is surrounded by a beautiful lake on the north and a hill on its south. The slope provides with a great agricultural condition for the fruits and gives the wine a tangible good quality. The soil and climate of the vicinity helps growing a large variety of gapes such as Sauvignon Blanc, Shiraz, and Cabernet Souvignon, Zinfandel etc. York Vineyard uses the most modern techniques and technology mostly imported from Italy for growing the fruits, pruning, crushing, fermenting and aging them to get the best out of the grapes of Nashik Valley. The built up capacity of York Winery is ten lakhs liters which also has separate tank halls for the white and the red wine. The barrel storage capacity of the winery is of almost 6000 square foot. There are four types of wines available at the York Vineyard- White, Red, Rose and the Dessert Wine. Chenin Blanc and Sauvignon Blanc are the variations of White wine whereas Red Wine has distinct five different flavours naming Shiraz, Cabernet Merlot, Reserve Shiraz, Cabernet Sauvignon Reserve Cabenet Sauvignon. Reserve Shiraz is the most popular among these all which has earned many awards at several national and international wine competitions. This variety has been aged in French and American Oak Barrels for about 12-14 months. The Rose wine which is made from the Zinfandel grapes goes well with the salads. The Late Harvest, variety of the Dessert Wine is made from the chenin blanc grapes left to be over-ripped and has a nutty flavor which complements the Spicy Indian foods and desserts. The wines produced at the firm received numerable awards and prizes in several national and international competitions which farther establish their international quality. York Winery has its own wine tasting room which gives the visitors a chance to taste the entire variety of wine produced at York. Visitors can opt for the guiding trip to the winery to get a look at the wine making process at the vineyard. The tasting room remains open from 12 noon to 10 PM, seven days a week. The trips to the tasting room and wine making process are payable but the amount is very reasonable considering the consequent satisfactory experience. The York Winery has added extra weight to the growth of the Indian Wine market with a very humble and homely approach but no leniency on the quality factor.